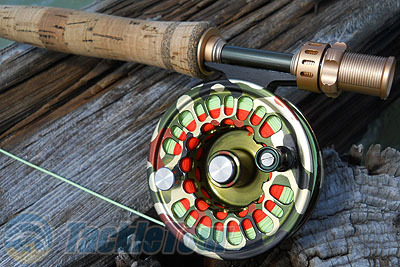 Abel Super 4N fly reel is made in the USA with precision! Introduction: The Abel Super 4N takes over where the old Abel Super 4 left off, offering several upgrades in design such as a narrower spool, lighter weight, as well as a slightly larger arbor and overall diameter. With a solid design and dizzying array of optional custom colors available, the Super 4N appears to be one of the highest quality reels available. Is this reel merely looks, or does it have the performance to back it up? Impressions: When I took the reel out of the box, I was absolutely floored at how amazing this reel looked and felt. 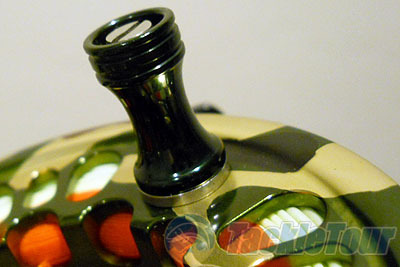 It was ordered in the custom camo color with a ported frame and army green aluminum handle. The color scheme was everything I had hoped for, and the reel felt much lighter than I expected. 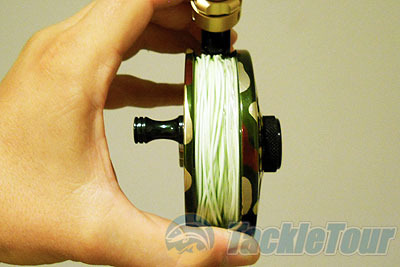 This is a reel that will balance perfectly with modern 4 and 5 weight fly rods. Impressive to say the least, the 4N was a reel I could not wait to fish with. Real World Test: My Abel Super 4N has seen usage on both ends of the country. It's entire fishing life thus far has been spent affixed to one of the lightest and best bang for the buck fly rods available, the Cabela's 9 foot 4 piece 5 weight L-Tech. At a scant 2.8 ounces, this rod demands a lightweight reel. In Florida, the combo has tackled small Snook on Gulf beaches and big Tilapia in residential ponds. 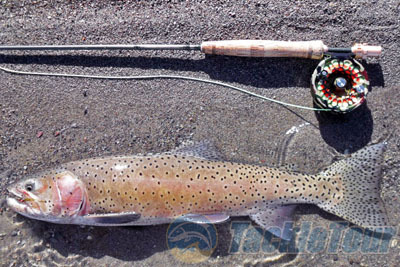 On the other extreme, it has traveled to Nevada's Pyramid Lake twice to intercept Lahontan Cutthroat Trout in the spring time. Casting: There is not much to speak of here, since a fly reel does nothing but store the line until a fish is hooked. With that said, fly casting with the 4N secured to the rod is very pleasant. The light weight of the reel helps keep fatigue down, allowing you to fish more comfortably. Retrieve: Overall the reel felt great on the retrieve. Standard fare when ordering an Abel is a walnut, zebra, ivory, or ebony handle. These handles are nice, but their new aluminum handles are too good to pass up in terms of looks, strength, and comfort. The handles are actually 1/8 inch longer than the standard wooden handles, and the end is knurled to improve finger grip. It also precisely matches the weight of the spool counter balance so no wobble is present, and has a Delrin insert inside the handle for smoothness. The aluminum handles are available in any of Abel's custom finishes, making a nice custom touch. Another thing I really like about this reel is the retrieve speed. At just .675� in width, the narrow spool coupled with the increased arbor size allows you to pick up line fast. An added plus is that your finger doesn't have to sweep so far back and forth to guide the line back on the spool evenly. This is a very nice feature when you are winding as fast as you can as a fish speeds towards you. The tone on the retrieve is a very pleasant classic Abel sound. 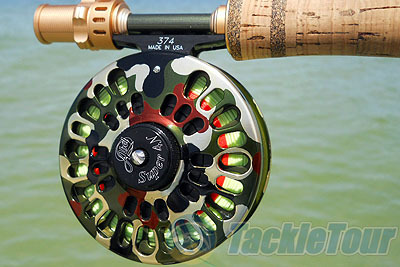 Super 6N and larger reels feature a new dual pawl design for added durability and unique sound, but the smaller sized reels still retain the single pawl design. The single pawl exhibits a �click...click...click� tone where the dual pawl is more of a �clickclickclickclick� sound.